Well, lucky for me we live in a 628 square foot apartment in NYC and there probably are not even 12 steps in my kitchen. Ergo, I am NEVER more than 12 steps away from chocolate. Phew! This week I am on a mission to make ice cream sauces because it’s Passover and I am limited in my ability to make ice creams with mix-ins. In the absence of these mix-ins my ice creams feel naked. Now, you should all know that I am a girl who almost never eats ice cream plain. To me, part of the experience of eating ice cream is to see how many outrageous toppings I can cram on top, without completely losing the essence of the actual ice cream flavor. The only exception to this rule is when I eat an ice cream that is chock full of mix-ins, in which case adding a topping would be like bringing jewels to the queen! Simply put, I think toppings are to ice cream as accessories are to women. No woman deserves to be void of accessories, and so by the same logic, no ice cream deserves to be void of toppings. This recipe is extremely easy (are you sensing a trend?). My goal here is to provide simple, inexpensive recipes for ice cream toppings so that if you wanted to create your own ice cream sundae bar you’d have pretty much every topping at your finger tips. So far we have dulce de leche, and now chocolate ganache! 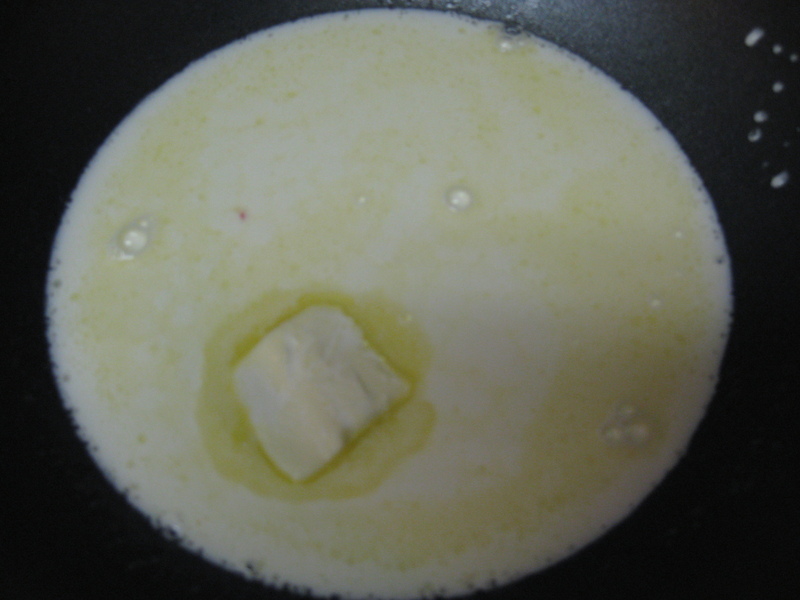 Melt the cream and the butter in a saucepan on low. Whisk or stir continuously so that the butter melts into the cream. Do not boil the liquid; keep it on the stove top only until small bubbles form around the edges and the butter is fully mixed in. Pour the chocolate into a heat proof bowl. 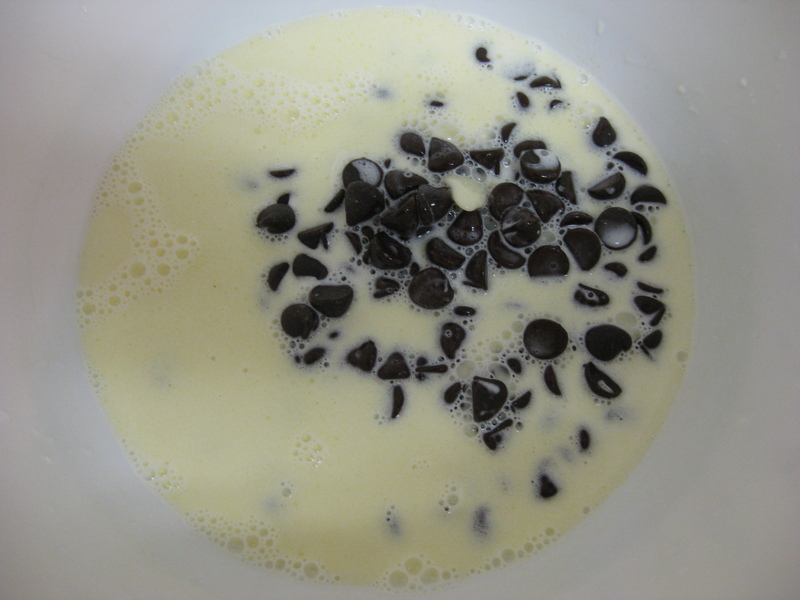 Pour the cream mixture on top of the chocolate mixture and stir gently until it all mixes together. Let the mixture cool slightly. If it cools and hardens, rewarm it by soaking the bowl of ganache in warm water. Stir for about 5-7 minutes and the ganache will warm up. 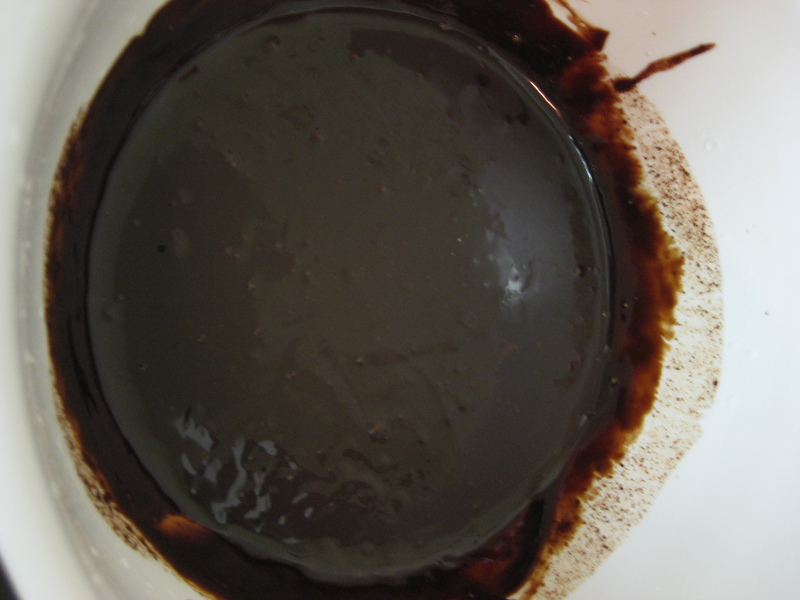 The ganache can be stored in the refrigerator for approximately 5 days. The Verdict: Excellent. Rich. Yummy! This is a wonderful topping to drizzle over ice cream or sorbet, as well as a perfect coating to use for gelato or ice cream truffles.